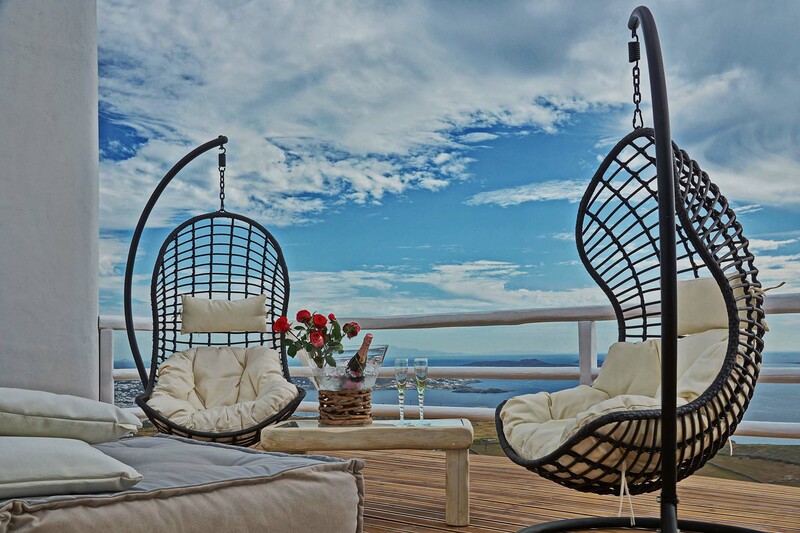 With a breathtaking view of the spectacular Aegean Sea, FBN is a real vision of luxury and light. 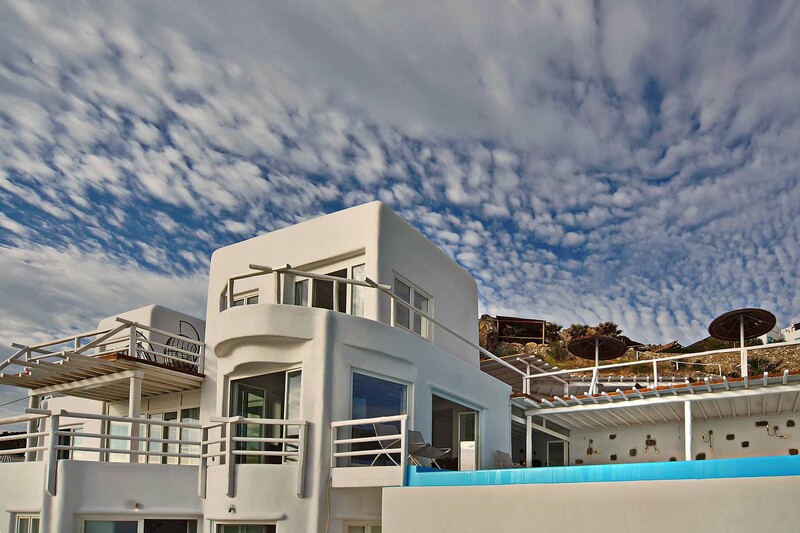 The luxury Mykonos four-level villa belongs to our Signature Portfolio as it can offer exclusive holidays to our guests. 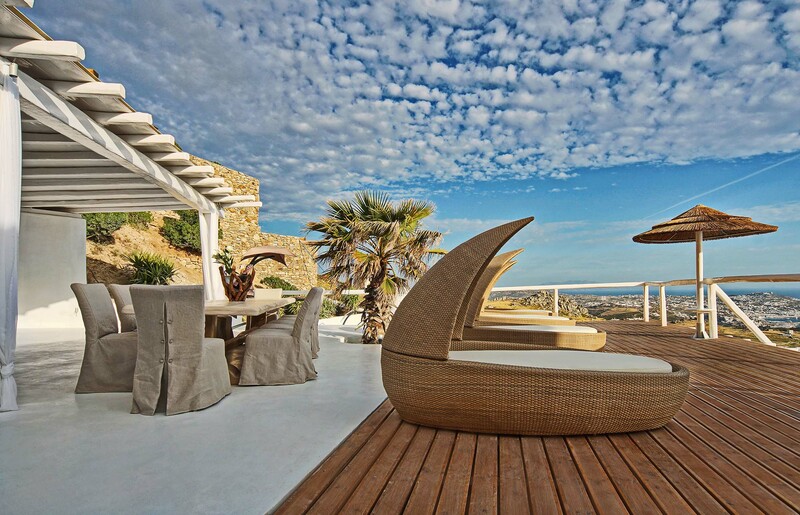 It lies in the secluded region of Fanari, in the northwestern part of the island, only 20 minutes away from the vivid Mykonos town and less than a 15-minute drive to the beach. 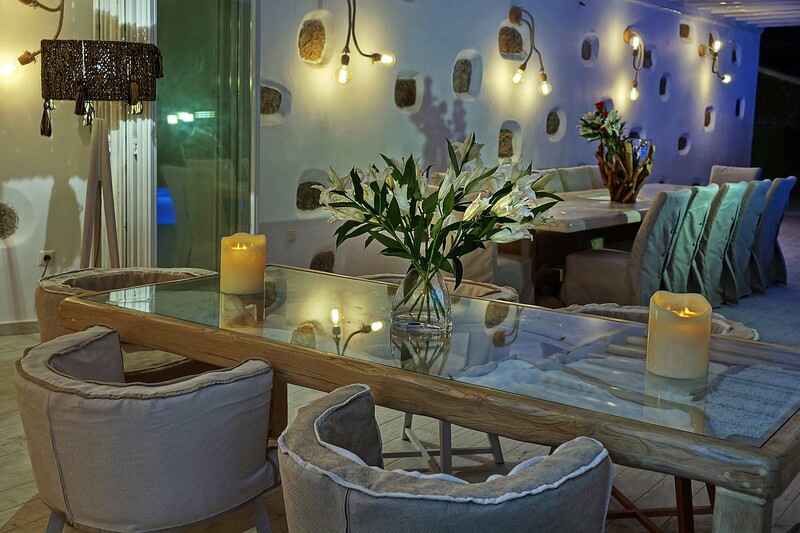 Get ready to offer your friends some moments they will never forget, as FBN is the ideal place to host superb private parties for up to 70 guests! 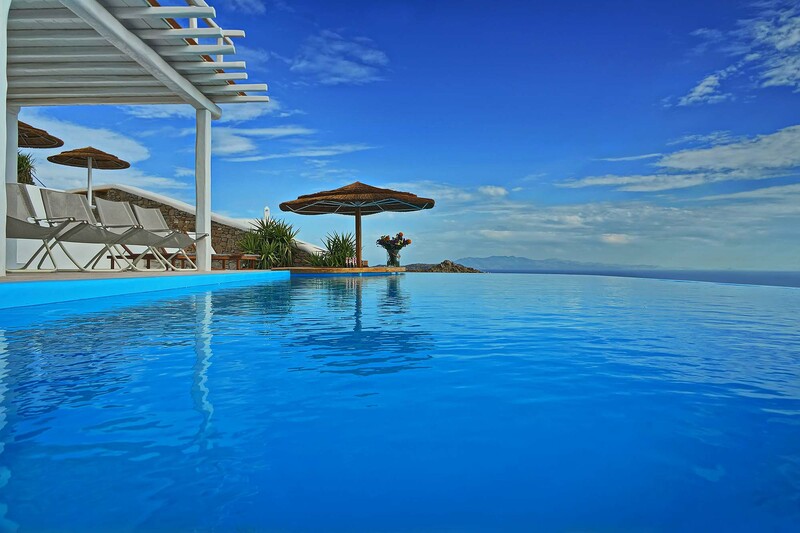 You’ll find it hard to leave the pool terrace with the infinite view of the crystal-clear Aegean waters! Indulge yourself with a cocktail from the underwater bar in the large heated infinity pool, while you let the sea breeze and island sunshine take all the stress away. Follow the sprawling terrace along the infinity pool to a pergola-covered dining area, where you will try out local seafood off the wood-fired BBQ. As the sun sets, bathing your villa in glorious hues of crimson and pink, don’t miss the chance to relax with some yoga practice or a full-body massage. The soft-edged exteriors of FBN are echoed on the inside by the earthy colors and clean-lined furnishing. 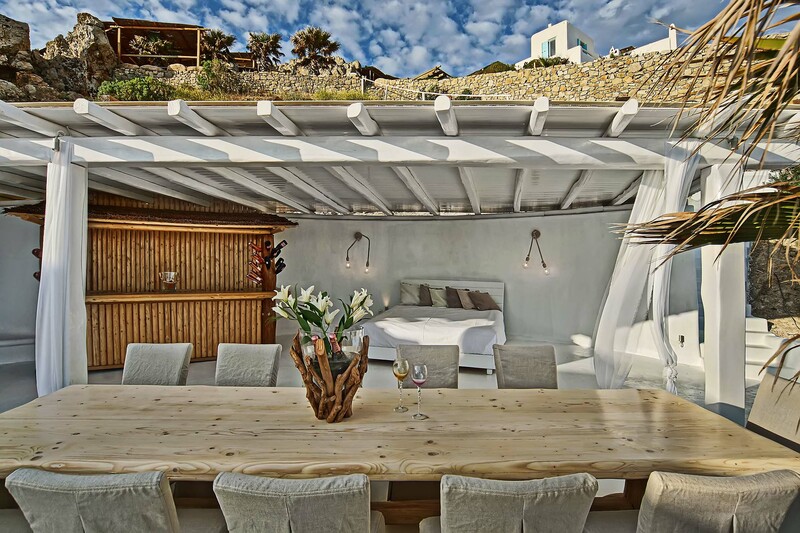 In the large living and dining area, exposed stone elements and ceiling beams nod to tradition, while unique natural elements and artifacts from all over the world give a boho chic tone. With a total of 9 double bedrooms in 3 levels, you can be sure that you and your guests will have ample space for your personal repose. Get ready to experience pure luxury, as all bedrooms feature en-suite bathrooms, comfy beds, A/C, TV, safety box and private verandas. FBN is ideal to host events for up to 70 people. Whether wedding, birthday or any other occasion, let our experienced event planners organize it for you. 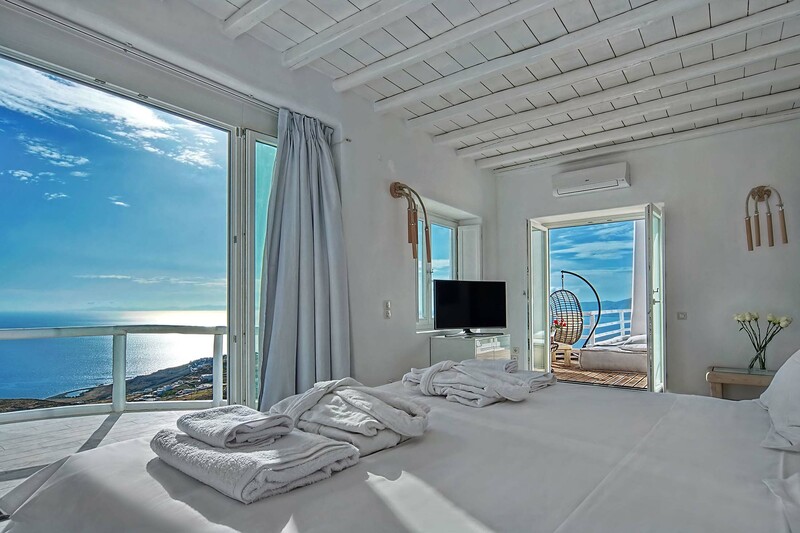 Also, the villa is part of the 7-villa complex Fanari Retreat, that sleeps up to 104 guests in total, so, after the party is over, some of your guests can arrange to stay next to you! 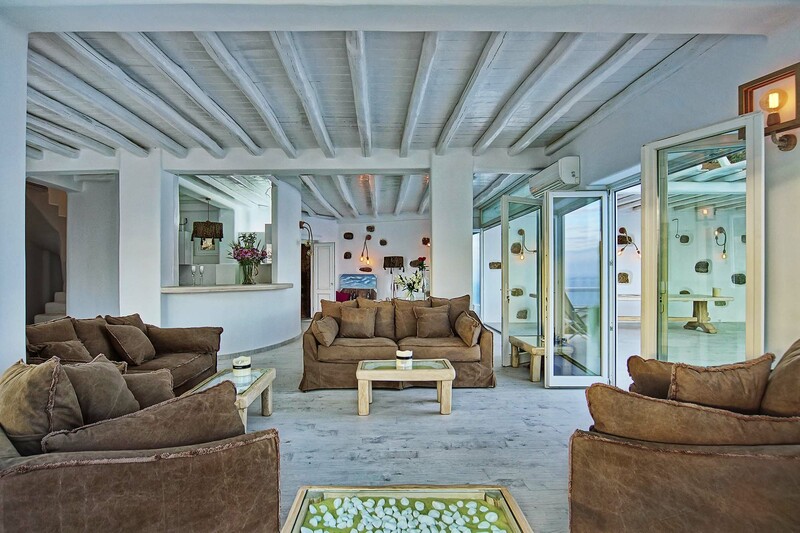 And in case you want to organize a yoga retreat, this is the place to do so. 2 en-suite master bedrooms, each with king size bed, A/C, safe box and private veranda. 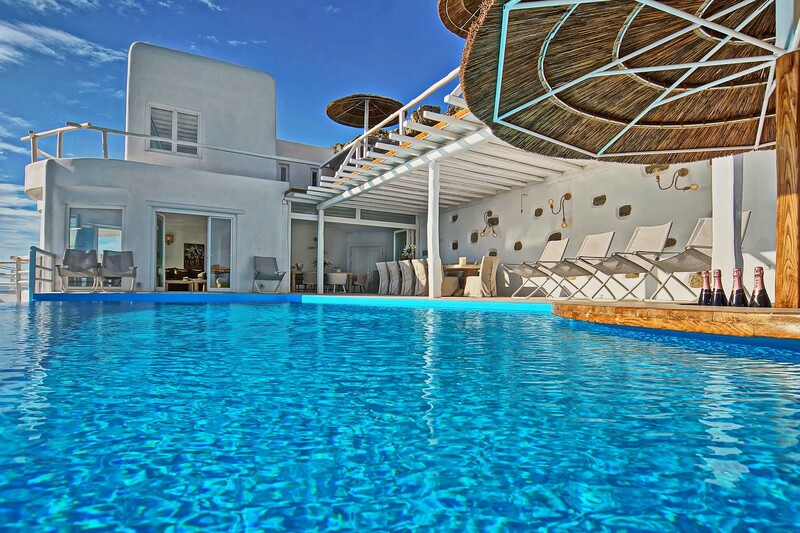 Villa is part of our Signature Portfolio, a unique and exclusive collection of luxury properties in Mykonos offering superior amenities and facilities with the standards of a 5-star hotel. Enjoy the experience!